Cerebrovascular diseases comprise the most common category of inpatient cases taken care of by neurologists. Dysphagia and malnutrition are not rare after stroke. It is strongly recommended for neurologists to screen and treat swallowing disturbances and malnutrition in stroke patients. However, present scientific literature lacks clear evidence with regards to nutritional treatment strategies for stroke patients. 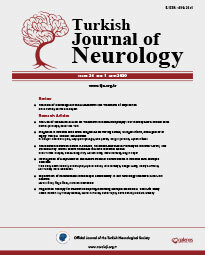 This review and recommendation paper is written with the aim to standardize nutritional screening and treatment algorithms during acute and chronic phases of cerebrovascular diseases and guide neurologists in Turkey for their daily practice.